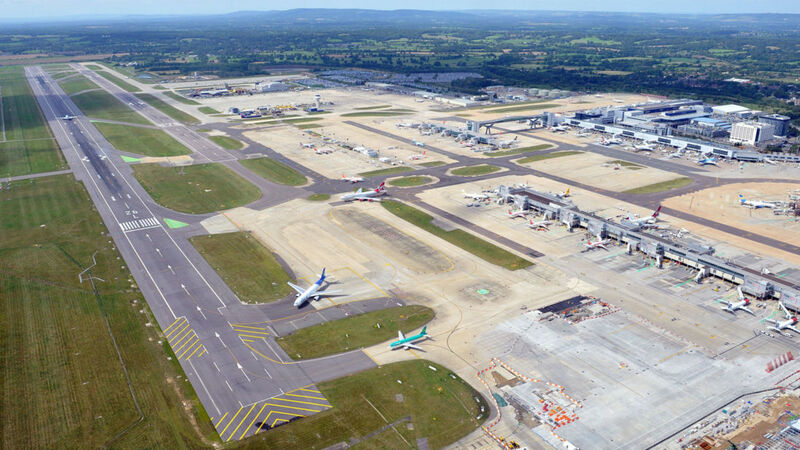 The warning from the British Airline Pilots' Association comes as the runway at Gatwick Airport was closed for parts of Sunday evening over fears for safety. EasyJet and British Airways were among airlines affected by the disruption. A spokesman for Gatwick Airport said: "Due to reports of a drone observation in the vicinity of the airfield, runway operations at Gatwick were suspended between 18:10 BST and 18:19, and again from 18:36 to 18:41, resulting in a small number of go-arounds and diverts. Four easyJet flights were diverted as part of the disruption. A spokeswoman for the airline said: "Once refuelled easyJet plans to continue three flights on to London Gatwick and is arranging coach transfers on to London Gatwick for passengers on flight EZY8832 from Bodrum that diverted to London Southend. "The safety and well-being of our passengers and crew is always easyJet's highest priority. "While the circumstances are outside of our control, easyJet apologises for any inconvenience caused." British Airways was forced to divert one of its aircraft from Valencia to Bournemouth Airport.